I want you to get something very clearly. 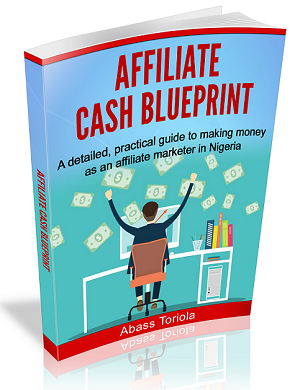 Blogging isn’t just about generating massive traffic; it’s about generating traffic that will help you actualize your dream — to make money online. 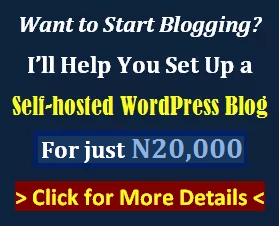 Tell me, of what use is a blog that attracts 1,000 visitors per day when you’re not making money from that traffic? 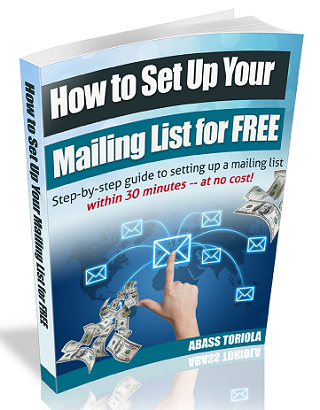 It’s of NO use because generating traffic isn’t your ultimate goal. Making real cash is. Now, I’m not saying you shouldn’t work towards attracting lots of visitors. You should. In fact, the more visitors your blog attracts, the more money you’re likely to make. But what I’m saying is that traffic, in itself, isn’t an end; it’s a means to a more important end (to make money). You get it now? OK, let me bring an instance. 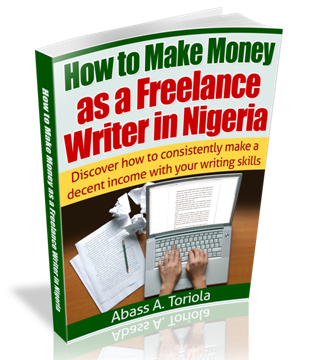 Assume you’re a freelance writer (like me), and you’ve set up a blog with the aim of attracting quality clients. Because of these high rankings, your traffic increases to about 300 visits per day. Of course, such a result would make you happy. And really, you’re generating traffic, which means your chances of attracting quality clients through your blog are getting higher (on paper). It’s not because your content isn’t interesting or relevant enough. It’s not because your blog is poorly designed. And it’s not because your visitors don’t want to hire a Nigerian. It’s because you’re not attracting the right visitors. Period. Granted, you’re attracting many visitors on a daily basis, and one would expect that the high quality information you share on your blog would help you convert many readers into clients — those long term, high paying clients that you really need. But those clients aren’t visiting your blog because you’re not using your content to attract them. If you’re really doing this, you don’t even need to generate as much as 200 daily visits before you’ll get choked with the high paying writing assignments you always wanted. At this point, let me ask you a question. Those keywords are used by people who are either bloggers or writers themselves, but need additional tips on how to create or optimize their content correctly. These are not people looking to hire a freelance writer. They can write, too. It’s just that they need some helpful tips. So, how can such a blog attract a single client when the daily visitors are those who are not ready to hire you? You get it now? These are the queries that people use to search Google when they’re looking for freelance writers to hire. And if your major reason for blogging is to attract clients, these are the keywords you should be targeting. So, this is the bottom line: To make money online, you need to publish content that will attract the kind of visitors who will help you achieve that goal. This process of optimizing your blog’s content for search engines by targeting keywords (search queries) used by your target audience is known as SEO (Search Engine Optimization). In more detail, what is SEO? SEO is an online website or blog promotion technique that involves strategically embedding lucrative keywords within your content. This is with the aim that your blog should show up prominently in search engine results when users search the web with queries matching those keywords you’re targeting. The result of these efforts is increased traffic, since most visitors are more likely to click on the links that rank highest in search result pages. So, if you’re blogging about Nigerian movies, for instance, you’ll attract lots of traffic if you target keywords that Nigerians are using to search for movies online, and you’re highly ranked in search result pages for those keywords. What are on-page SEO strategies? 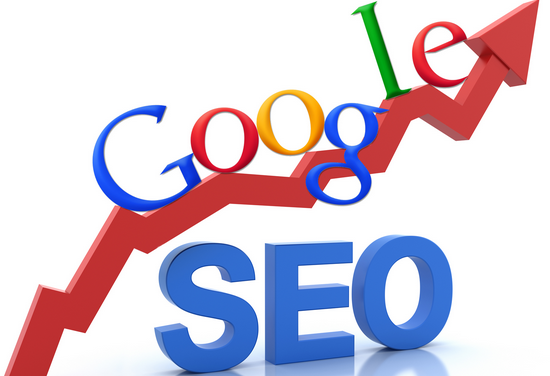 These SEO practices are implemented right on the pages of your website or blog. You have absolute control over on-page SEO, and you’ll be held responsible by search engines for any on-page SEO malpractices detected on your website or blog. On-page SEO may be all that you need to have your web pages or blog posts ranking highly in Google for your target keywords — provided you’re targeting low competition keywords. 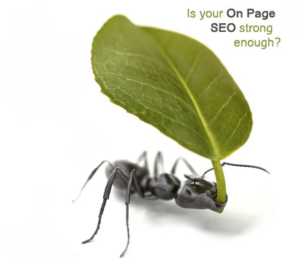 What are off-page SEO strategies? These SEO practices are implemented on other blogs or websites. Majorly, off-page SEO involves building backlinks that redirect to your website or blog. Off-page SEO has more effect on your search engine rankings because search engines see links pointing to your website or blog (from other websites or blogs) as a “vote of confidence” from those blogs. So, the more backlinks you have pointing to your web pages, the more search engines will trust your site, and the higher you’ll rank for your target keywords. What are “White-hat” and “Black-hat” SEO practices? White-hat or ethical SEO practices are those SEO strategies (on-page and off-page) that are in line with the guidelines and regulations laid down by the major search engines (Google, Yahoo, and Bing). All the on-page SEO strategies listed above are white-hat techniques, and you’ll never have any problems with search engines if you implement them correctly. To read more about the ethical SEO guidelines for webmasters, click here to read the Google Webmaster Guidelines. Granted, black-hat SEO techniques bring quick results, but these results are often short-lived because your website or blog will be temporarily or permanently banned or penalized once the search engines detect some foul play. Now, I believe you’ve learned the basics of SEO as well as proven SEO tactics that should suffice if you implement them correctly. As for link building, I will, as I stated earlier, discuss the topic in full detail later on. Until then, keep implementing the on-page techniques because they’re very important, too. Search Engine Land: What is SEO? If you think I missed out something or you have some questions, share your thoughts by leaving a comment.